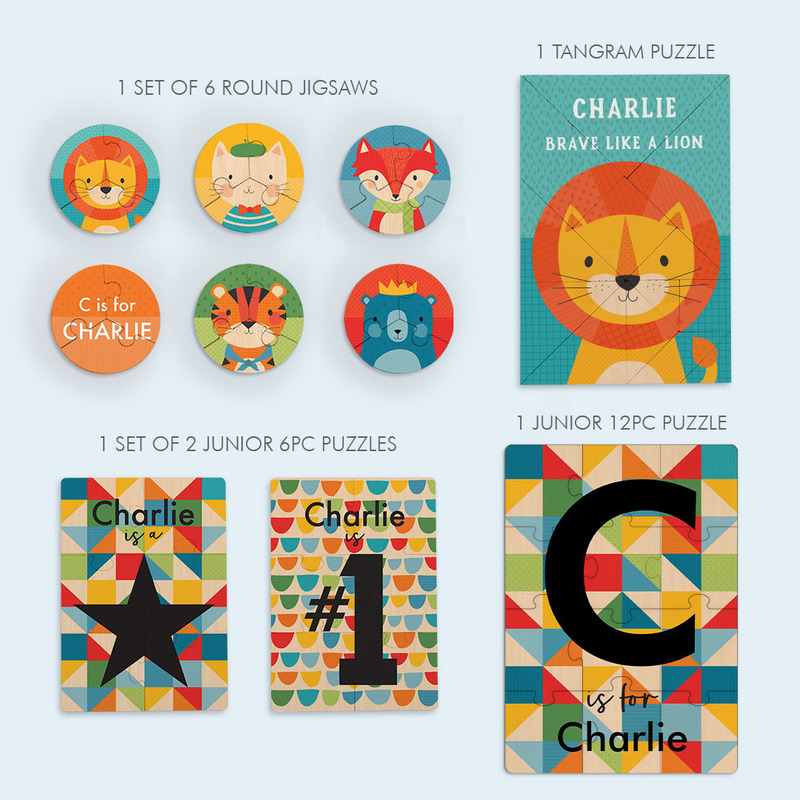 Our Kids Jigsaw 4 Box Set is double the fun in more ways than one! With 4 individual boxed puzzles sets each with a unique double sided design plus personalised with your child's name, it's the ultimate gift for your special little someone! Our Classic Jigsaw Set is double the fun in more ways than one! With 4 individual boxed puzzles sets, each with a unique double sided design and personalized with your child's name... It's the ultimate gift for your special little someone! The designs are all A+ for adorableness and sure to make your little one smile. 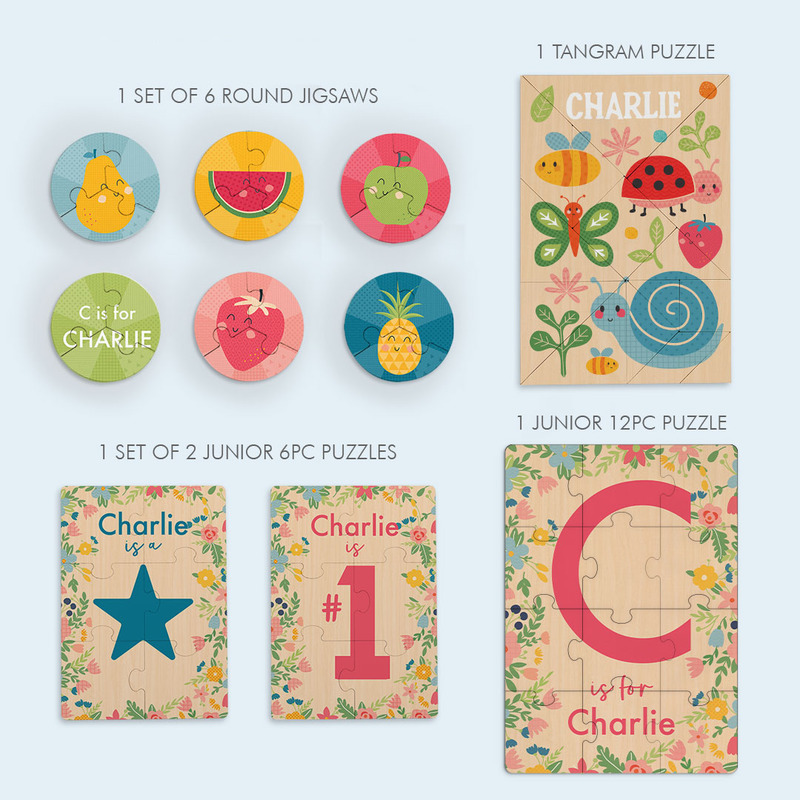 • Each puzzle has a unique double sided design - 2 jigsaw sets in 1! 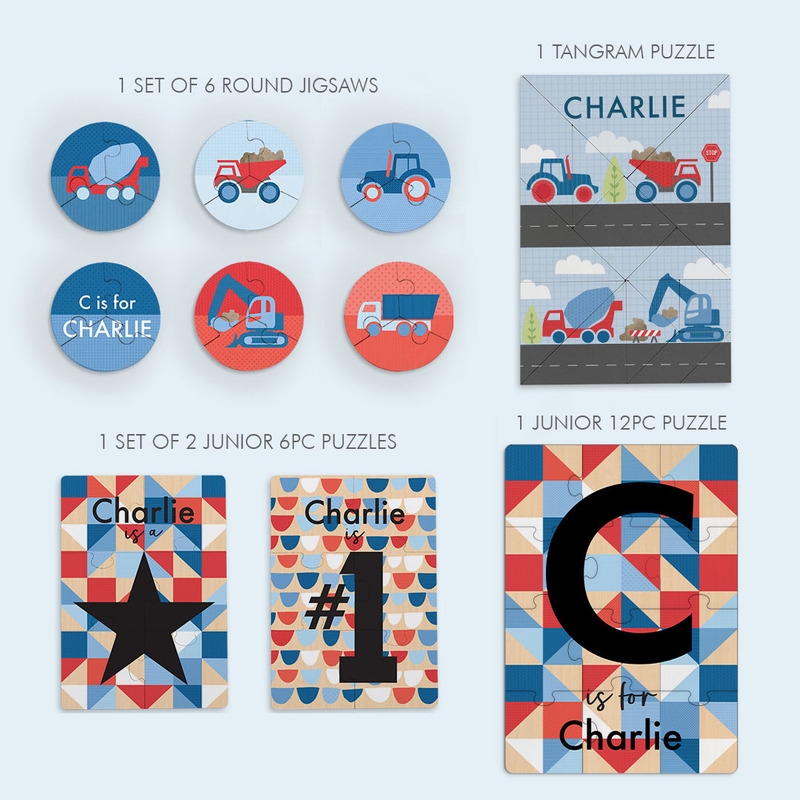 Your personalized box set includes 1 x 12pc junior jigsaw puzzle, 2 x 6pc small junior jigsaw puzzles, 1 x creative play trangram puzzle and 6 x small round jigsaw puzzles.